There is no proper NPCs and after a while it gets a bit boring no story to get into which is the reason I loved the fallout games before this. Decent for a 10er though. Many copies left? Thats on my doorstep..
Quite a few on PS4 and Xbone, this was the Eldon square HMV. I know i'll only be buying it because it's Fallout and less than a tenner so you've kind of put me off with that comment (in an appreciaive way). 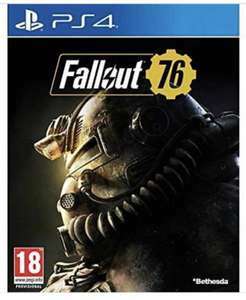 I know i'll only be buying it because it's Fallout and less than a tenner …I know i'll only be buying it because it's Fallout and less than a tenner so you've kind of put me off with that comment (in an appreciaive way).